Our homeschool Group took its first field trip of 2013, and man it was awesome! 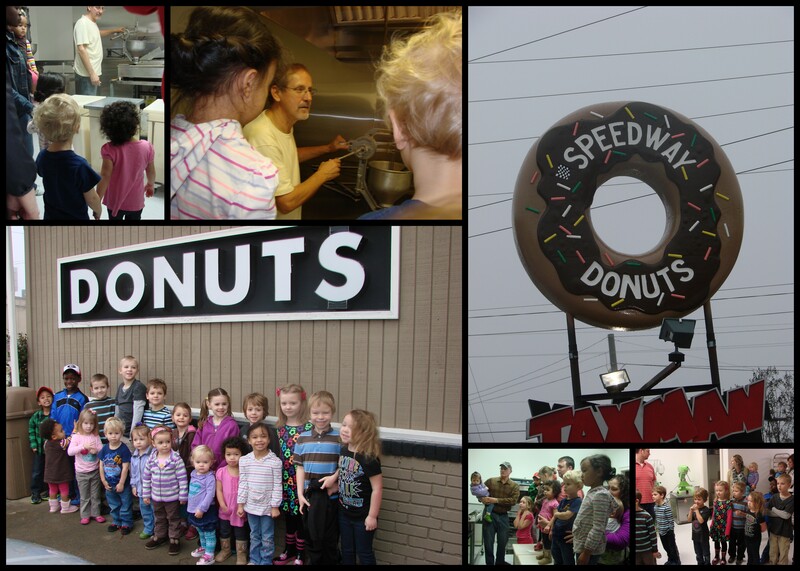 There is a locally owned Donut Shop in our town and we contacted them about a tour/learning time. They said YES and went WAY above and beyond. We had 21 kids 9 & under.. so after splitting them into 2 groups (thus having to explain two times), we were off! Lots of neat facts.. the Donut Man arrives at 1:20am to begin this delicious snack.. the oil is so hot when the dough drops it stays in one piece.. and there is no real reason there is a hole!! A huge Shout out to Speedway Donuts for all you did! Cant wait for the next trip!!! This entry was posted in Homeschool, Uncategorized and tagged donuts, field trip, homeschool, Speedway Donuts. Bookmark the permalink. ← Whats for Dinner?? Yummy Goodness!